The Australian Lavender Growers Association’s International Lavender Conference is scheduled for February 6th through the 9th in Tasmania. The theme of the upcoming conference, Marketing from a Tourism and Business Perspective, is expected to appeal to lavender growers looking to discover tips for making their farms financially successful. The speaker line-up is a sure winner. Scott Nagel, Executive Director – Sequim Lavender Festival, will speak about Agra-tourism as well as share Sequim’s story. Nagel’s extensive career has been centered on festivals and celebrations. Sequim Lavender Festival, the largest in North America, attracts 30,000 people and has a measured economic impact of $3.4 million. Philippe Soguel, master distiller from Nyons, is a skilled craftsman. Owner of Distillerie Bleu Provence, Soguel, will discuss the technical and sensory properties of lavender oils from around the world. Catherine Liardet, a lavender grower, author and lecturer, owns and operates a farm at the foot of Mont Ventoux. Liardet will focus her presentation on the aromatherapy and medical value of lavender oil. Mr. Tomita, coming from Farm Tomita in Japan, will share his perspective on the value of “clubs” associated with business ventures. Mr. Tomita, an astute business man, founded the Lavender Club to promote its appreciation. Noel Porter, research scientist from New Zealand, will present his research finding on how oil quality if impacted by flower head maturity and distillation time. 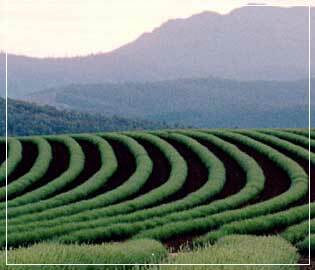 The proposed program for the entire conference is available at The Australian Lavender Growers Association’s website. If exceptional speakers with compelling topics don’t convince you to register for this event, the opportunity to visit Tasmania and spend an entire day at Bridestowe Estate, one of the world’s largest lavender farms will undoubtedly be the pièce de résistance.